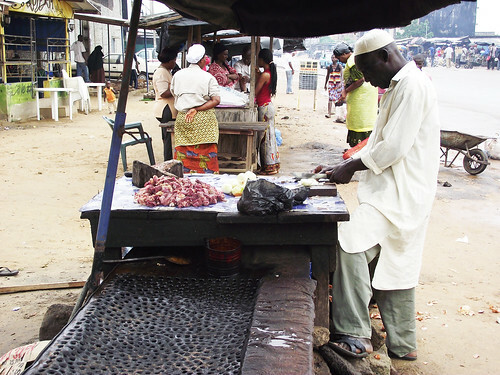 Locally made beef stew sold in Bagnon market at Yopougon, Abidjan, Côte d’Ivoire (photo credit: ILRI/Valentin Bognan Koné). 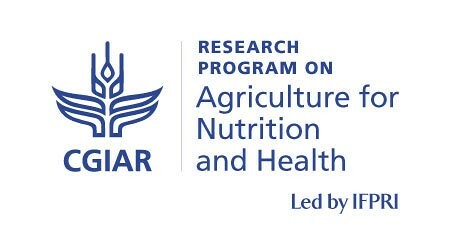 The CGIAR Research Program on Agriculture for Nutrition and Health (A4NH), led by the International Food Policy Research Institute (IFPRI), is designed to fill the existing gap between agricultural development and its unfulfilled health and nutritional benefits. Within CGIAR, A4NH is an integrative program focusing primarily on the system level outcome to improve food and nutrition security for health. To explore nutrition and health impacts, we begin with consumption—of healthy, affordable, and safe foods—rather than with agricultural production alone. A4NH places strong emphasis on integrating gender and equity, as well as evaluation and impact assessment into its research, offering specific methods to support research and development by others. Since its beginning in 2012, A4NH has provided an innovative perspective on the relationships between agriculture, nutrition and health through research that strengthens the knowledge base and through new partnerships that lead to outcomes. In Phase II (2017–22), A4NH will continue research on biofortification, integrated agriculture-nutrition programs and policies, and food safety, from its first 5-year phase. This research builds on strong formative research as well as an advanced understanding of what will be required to achieve impacts at scale. Two new research areas and partnerships have been added, in response to new demands: one on food systems for healthier diets, and another on improving human health. The International Livestock Research Institute (ILRI) leads the flagship research project on food safety and co-leads (with the London School of Hygiene and Tropical Medicine) the flagship project on improving human health. The AgHealth blog features news and updates on ILRI’s collaborative research under these two flagship projects. Visit the News and Events pages to stay up to date on various projects and related activities.